What is Website Page Speed? Website page speed is a measure of how long it takes for a website page to load.There are a lot of factors that go into the measurement and we’ll cover them in this article, but essentially, it’s the time it takes to from the time someone types in or clicks on a click to the time it takes to completely render the website to the visitor. Keep reading to see what contributes to that, why it’s important and what you can do. Why is Website Page Speed Important? Why would you care?The speed of your website affects your business bottom line. A better user experience results in higher rankings. 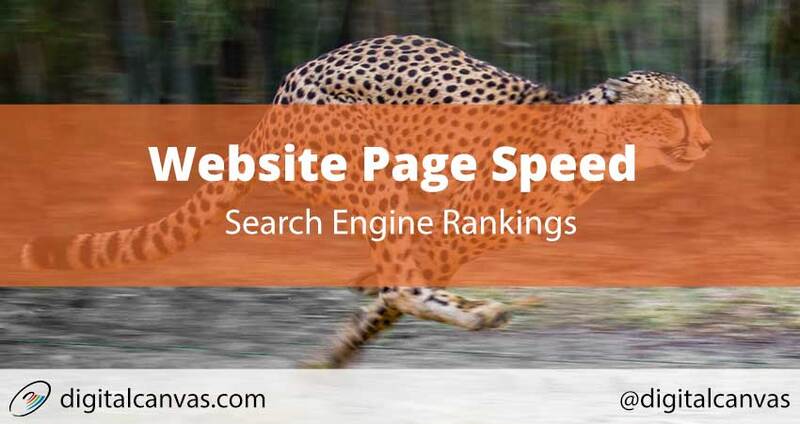 The speed of a website is now a search engine ranking factor. In other words, a slow website results in a poor visitor experience. If you click on a search result and the website takes forever to load, there’s a strong likelihood you’ll click the back button to find a faster website. Google knows this and wants to provide searchers with the best experience after a search. Therefore, Google will rank your site lower than competitors’ sites in the search results.Higher search engine rankings are important to getting traffic to your website. If a site is ranked lower on search results it will get fewer clicks and fewer visitors.Worse, your competitor will get more clicks, more traffic and thus you’ll lose visitors to your competitors.Faster loading websites will rank higher on Google search results. Research shows visitors and buyers don’t want to wait for slow pages. They would rather leave and buy from a competitor with a faster site. So, even the visitors you do get on a slow page are less likely to buy or convert on a slower website. Hubspot shows us how 1 second slower sites can result in more than half the conversion rate, for instance.This is considered the bounce rate. Bounce rate is when a visitor clicks on your site and leaves immediately.So, Lower page speed results in high bounce-rate and lower conversions. Landing page speed is a contributing factor to the cost of Google Ads.What?Yes. The same principle that applies to Google Search Results also applies to cost per click for your Google Ads. Slow landing pages will cost you more money.Google rewards advertisers that provide better overall value and user experience. Google ranks Ads, landing pages based on conversion rate and Quality Score. Advertisers will pay less per click for higher Quality Score on Ads and landing pages. Landing Page Speed is a contributing factor for Quality Score.Let’s look at an example:Say you are spending $1000 per month on Ads. A faster landing page with a high-Quality Score pays less per click.Therefore, a high-quality score paying $1.00 per click, while a low-quality score may pay $2.00 per click.At $2.00 per click you will only get 500 clicks day, while the high-quality score will get 1000 clicks.If you convert at the same rate, let’s say for this example 2%, then the advertiser with a faster landing page will potentially get 20 leads/sales. While the slower landing page will get 10.Realistically, we find that faster landing pages also have high conversion rates. So, a high converting landing page may get 3% which a slow landing page may get 1%. In this case, the faster landing page may see 30 sales/leads while the slower page may see 5 sales. This is significant.With a slower landing page, the advertiser will have to spend 3x or 4x more per month to get the same number of leads and sales, for instance.High page speed results in more sales. Let’s look at some of the contributing factors to Website PageSpeed. The speed of a server and hosting company contributes to how faster a website loads. In other words, the amount of time it takes for the web host to respond to a request and deliver the website content.A slower web host will deliver a website slower.It may not be the host or the ability for the host to deliver the site faster, but the type of server or hosting plan. Consider a faster hosting plan or server type, based on the type of website and amount of traffic.A server or hosting plan is just a computer on a network. The more memory, CPU (processor) and network bandwidth available, the faster the computer runs and can devote more resources to serving a web page. For a faster performing website shared hosting is not the best option. Cheaper shared hosting will kill your business if it’s not fast enough. Shared hosting is set up with a larger number of websites all on one server. The server will split the resources (memory, CPU, bandwidth) between all the website on that server. This is the cheapest option, but typically this will result is slower Website Page Speed. With a dedicated server, a website has all the resources of that server available and can process requests and serve the website faster. Although dedicated servers will give you all the resources and usually the fastest speed tend to be more complex to manage and the most expensive option. VPS and Cloud servers are a nice middle ground and a great option for small businesses. Although there is a technical difference between cloud and VPS (virtual private servers) for this purpose, we’ll lump them together. These types of servers generally give you more dedicated resources than shared hosting without the dedicated server costs.When evaluating server resources for your business, select a host and plan that gives you the best of service, server speed, and price. You want to get the most from the hosting service without sacrificing Website Page Speed. Not all websites are built the same and not all hosting companies are the same. Get the fastest host you can within your budget.You can determine the network and server speed of a host by measuring the Time To First Byte(TTFB). This is the time it takes from the initial request in the browser to the first byte received by the browser. You want to get this number as low as possible. Google recommends a Time to First Byte lower than 200ms. When a request is made to a website domain the request is forwarded to a DNS (domain name server) to translate to an IP (internet protocol) address. The amount of time this DNS takes to respond adds to the server response time.Make sure the DNS service is responding as quick as possible. Slow DNS responses will slow down the site website page speed. 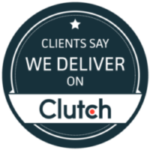 A Content Delivery Network helps deliver site files to visitors faster. Using a content delivery network (CDN) enhances the delivery of content in a few ways.First, it relieves the server and bandwidth of the web server, which allows the server to focus on delivering the page faster.Second, a CDN typically has multiple points of delivery globally, so the content is delivered using the fastest network route to the visitors.Finally, a CDN is optimized for delivering static content, so it’s able to serve content faster than the web server. When a website request is made the server has a number of steps to process, make database requests and compile parts of a page before it’s ready to respond. All these requests, although all these steps may take a fraction of second, they add up. Enabling caching will save the previous request and deliver the same response for the same request to a second visitor.With caching enabled, the server saves the previous request and has that ready to serve to when the same request is made for future visitors. This eliminates a bulk of processing on the server, so it can deliver the page faster.Be careful with caching and use wisely. I’ve experienced caching in some instances will actually increase page speed, as the processing of the page is faster, than checking if a cached version of a page is available. When you consider caching, always test and confirm it actually speeds up the website page speed.In the next section, we’ll discuss how you can test this. Whether it’s a background image or not, images will increase the size of a page. Images can be very heavy and take a long time to download.The first step with images optimization is to eliminate as many images as possible. If you do the same thing with CSS and text, do it. Don’t use images unless you have to. For example, if there’s an image that just contains text or background color remove the image and do it text and background colors. Don’t use images for things like headers, or menu items.The second step is to reduce the size of the images remaining. This is done by increasing the compression and using the correct image type. Make it as small as possible, without losing visible quality.There are a number of tools to do this including paid software and free ones.Photoshop If you have photoshop. Photoshop is a web designers staple. Typically, designers will have a copy of photoshop and can change compression setting and reduce the size of the images for you. https://www.adobe.com/products/photoshop.htmlPicMonkeyA low-cost online tool to reduce image size and includes some additional photo editing tools. https://www.picmonkey.comHere are some free online tools to reduce images sizes. Google Page Speed Insights.You may be familiar with this Google tool for testing page speed. But it also reduces and compresses images for you. Once you run a test, if image compression is an optimization issue you need to address, it will actually compress the images for you and give you a link at the end of the report to download the compressed images.Done for you. Now that’s easy. GZ compression is a server setting and process that compresses the page so although it’s the same size during transmission between the server and the browser form reducing the size of the transfer.This needs to be set correctly on the server. Contact your website host and ask them to enable GZ compression. Fewer resources will make the page faster. A newer HTTP protocol, http/2, is replacing the older http/1.1 protocol. http/2 protocol allows for loading more files and loading them concurrently than the older http1.1 protocol. So, concatenation is not as much of a concern if you are using http/2. Make sure to run the latest version of PHP, if you’re running PHP. We’ve seen dramatic increases in website speed by just upgrading to the latest version of PHP and taking advantage of the speed enhancements of PHP 7. In some cases, sites run 4x to 10x faster after upgrading from PHP 5.6 to PHP 7. Here’s more reason’s to run the latest version of PHP. Large databases will make a website run slower. So, reduce the size of the database, and optimize the database queries to reduce the response time from the database server.With WordPress, this means cleaning out all the unused posts, revisions, and comments to make the database leaner.In non-WordPress sites, make sure the database requests are minimized, indexes are declared correctly, and even cache database queries.You can also reduce the number of database queries per page. Server errors and warnings will increase server response time. When the server has to open an additional error log file, log the error, and close the file, the server is doing more work and taking away from the focus of serving the web page.Check this by logging into the server, open the error log and see if there are any error messages or warnings. If there are errors, fix that code. If there are any warnings, it may not be an issue now but could be in a future version, fix them too. At least if you’re not able to fix them disable logging warnings to speed up the server. With a WordPress site and a plugin it throwing warnings, then it’s time to contact the developer or replace that plugin. 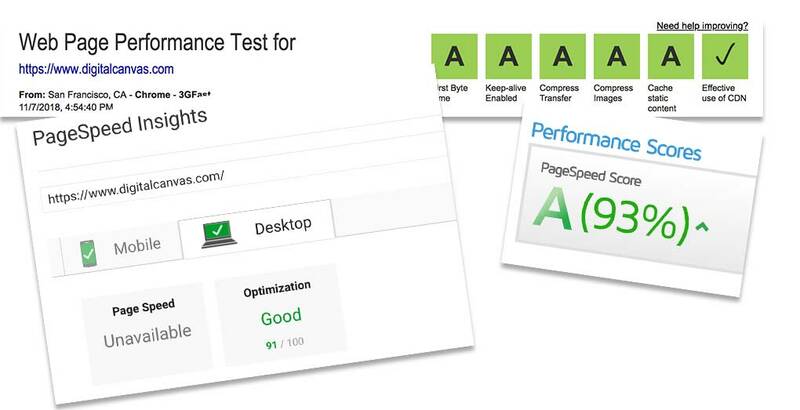 Here are some website page test tools to help you on your website optimization journey. Different tools will give you different results. Therefore, test in a number of tools and compare results and determine where the biggest issues are. That was a lot.There’s a lot involved in making sure a website is running optimally to increase Website Page Speed. In conclusion, let’s break down how you can go about accomplishing this in a manageable way for the normal person. Don’t try to tackle everything. Therefore, you’ll want to determine if there is a problem and where the problems are. After that, go through some of the Website testing tools and see what issues are identified. Not all tools are the same. Each tool can give you different insights. Determine which are the biggest issues, subsequently address those first. It’s unrealistic to fix everything at the same time. Every time you make a change to code or a plugin, test and see if it made a measurable difference. If the scores decreased, revert back and address it either differently or another issue. We want to see increased scores, make sure changes are not making things worse. So, only make one change at a time and test. Test your website speed now.